Our conference brochure has been updated. Download the UPDATED conference brochure. There is still time to register. View our 2016 conference page for details. We hope you can join us in Boston. Call for Papers now underway. The submission deadline is March 15, 2016. Learn more about our submission and approval process and access the submission forms using the links below. Come together with leading thinkers in the field of clinical and experimental hypnosis over Columbus Day Weekend in New England. Our conference site and hotel are conveniently located just 20 minutes from downtown Boston. More details will be announced as they are confirmed. Meanwhile, please mark your calendar and plan to attend. Thinking of submitting a presentation or poster? Our Call for Presentations and Posters is coming soon. NEW! Submission deadline extended to Monday, May 25, 2015. 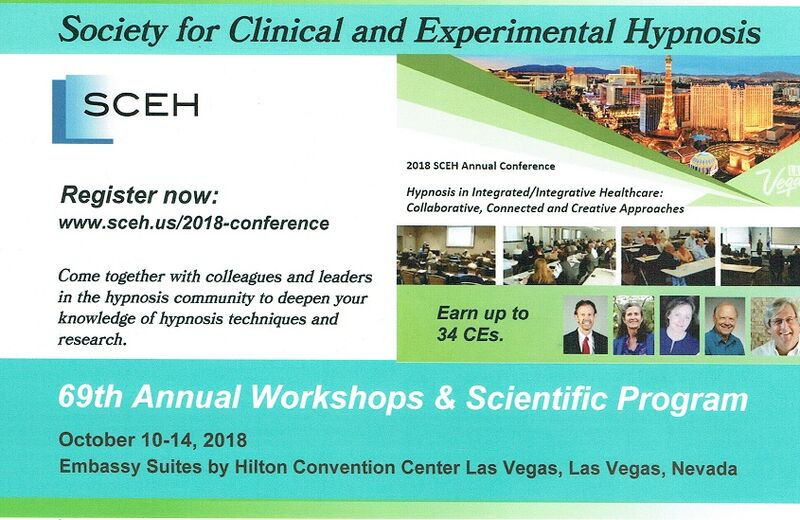 The Society for Clinical & Experimental Hypnosis (SCEH) is now accepting proposals for Workshops, Scientific Papers and Posters for its 66th Annual Workshops and Scientific Session. Deadline for submissions is May 25, 2015 (new extended deadline). This year's event is being held at the Rosen Plaza Hotel in Orlando, Florida, from September 30 through October 4, 2015. The Society has held more than 65 annual events, and boasts a rich history in hypnosis training and research. 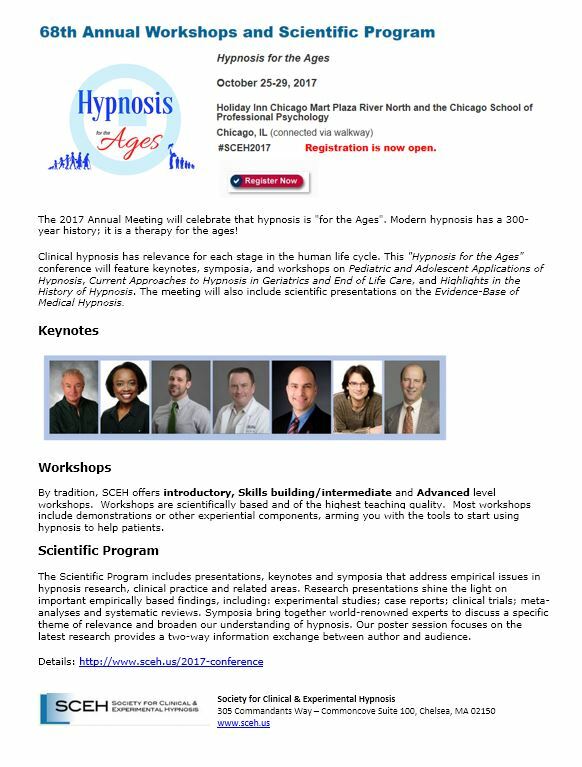 Each Annual Conference comprises a Workshop track as well as a Scientific Session that features the latest research on clinical and experimental hypnosis. The Society includes some of the most advanced clinicians and researchers on hypnosis in the world among its membership. Conference sessions are led by leading experts in clinical and experimental hypnosis.